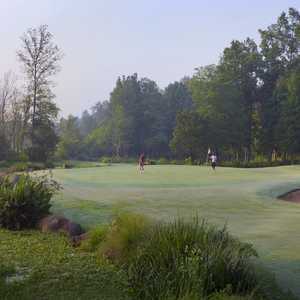 Rocky River Golf Club was carefully carved from lush, rolling hills and natural wetlands with the intent of preserving the beautiful terrain as much as possible. The course flows across the dramatic natural contours of the land, providing holes with plenty of elevation changes. Running alongside the rolling fairways are winding ribbons of native wetland grasses that weave through rocky outcroppings. Golfers shouldn't be surprised if they come across some of the wildlife that inhabits the course, which includes cranes, deer, and beavers. 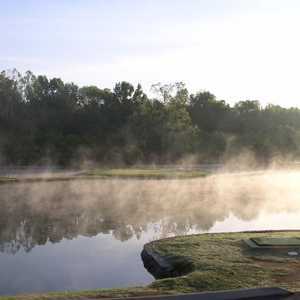 In addition to the stunning scenery, the golf course offers a challenging round. The large, contoured greens demand accurate iron play. Errant shots will find their way to the wetland areas or the patches of seeded fescue. 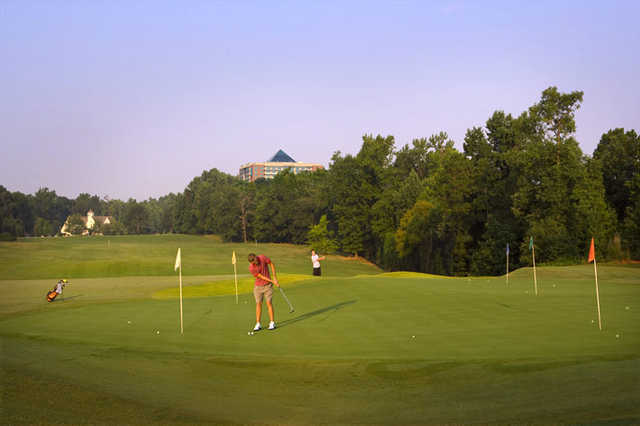 In addition to the golf course, Rocky River offers a driving range with four target greens as well as a putting and chipping green. 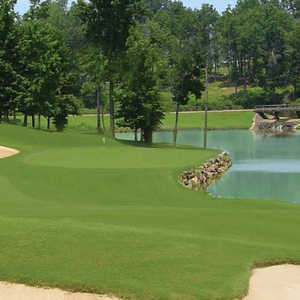 Beautiful layout and scenery with a well conditioned course. Right next to the Embassy Suites, and the Charlotte Motor Speedway. Enjoyed it a lot, and will definitely come back.